Did you know that the Quran speaks highly about Jesus? In Arabic, Jesus is known as Eesa. More than 90 verses across fifteen chapters of the Quran discuss Jesus, and what it says about Him is quite eye opening. 1. Did You Know Jesus Is The Only Person Said To Be Honored In The Next World By The Quran? 3. Did You Know That The Quran Applies DIVINE Attributes To Jesus ? The Quran describes Jesus as “the word of God“, “spirit of God“ in Arabic. Wouldn’t calling a prophet the “Word of God” and “Spirit of God” be considered blasphemy? So what is it saying here? 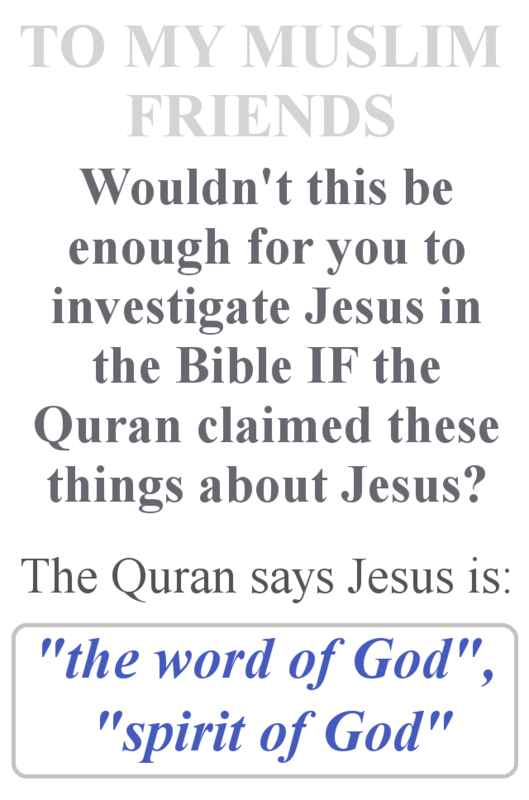 Is it saying that Jesus spoke the very words of God according to the Quran? 4. Jesus is called, “His Word” in The Quran, But Did You Also Know That In The Bible, Jesus Is Also Described As THE WORD? “The Messiah, Isa son of Mary, Allah’s Messenger, and His Word…” (Sura The Women 171; Sura al Imran 40). Jesus is called the “Word” (Logos) in Greek. Logos was used for God. John declares that in the beginning Logos existed, He was with God and Logos was God. This shows the complex nature of God. In the bible, Jesus is none other than God Himself. 5. Did You Know In The Quran, It States That Jesus Was Unique Because He Was The ONLY One Born Of A Virgin? The Masih, Isa Son of Mary, Allah’s Messenger, and His Word that He committed to Mary, and a Spirit from Him.” (Sura The Women 169). In the bible the Holy Spirit is also identified as God. The very first chapter of Genesis talks about the Spirit of God. 7. Did You Know The Quran Calls Jesus The Messiah? 8. Did You Know The Quran Describes Jesus As A ‘Sign,’ ? Jesus performed miracles and signs which no other man could do. He was not just any ordinary prophet. 10. Did You Know That There Is Only ONE Woman Mentioned In The Bible, And She Happens To Be Yeshua Jesus’s Mother? Asiya – Asiya was described as the wife of Pharoah, who cared for Moses after his rescue as an infant. She protected Moses and stood up for him in front of her husband. (Quran 66:11) In the Bible, the daughter of Pharaoh who rescued Moses is not named. A daughter of Pharaoh named Bithiah is mentioned in I Chronicles 4:18. 11. Did You Know That The Quran States That Mary Is The Most Exalted Of All Women? 13. Did You Know That The Quran Actually Admits That Jesus’s Believers Would Prevail Over The Unbelievers Until The Day of Resurrection? Abraham was father of other prophets, and was also the ancestor of the Prophet Muhammad. 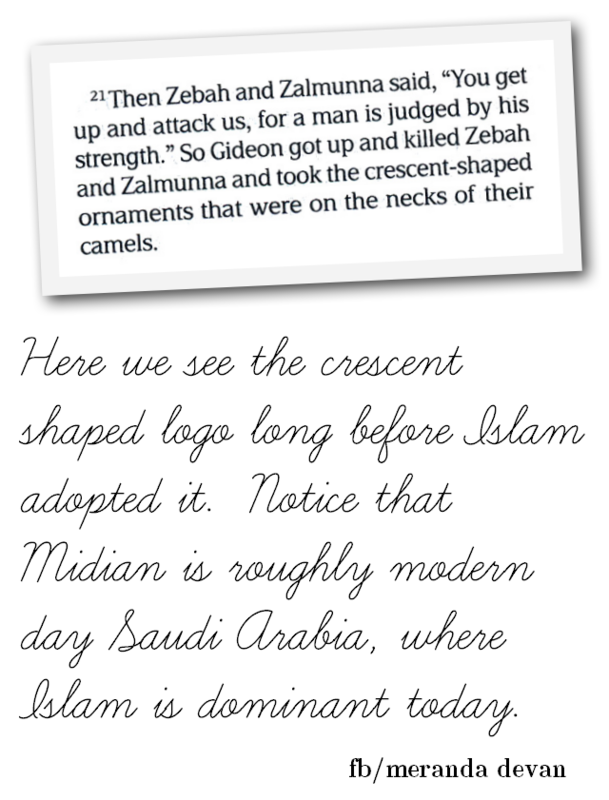 Muslims honor and respect the Prophet Abraham (known in the Arabic language as Ibrahim). The Quran describes him as “a man of truth, a prophet” (Quran 19:41). For Allah did take Abraham for a friend” (Quran 4:125). 15. Did You Know That According To The Quran, Jesus Was Given Revelation By Allah? 16. Did The Quran Say That Jesus Had The Authority With God? Previous articleDoes The Quran Say That Jesus Is God?